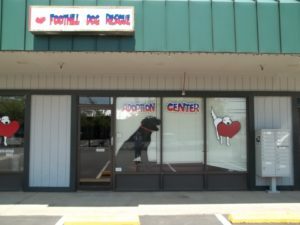 Foothill Dog Rescue is a non-profit, all volunteer organization dedicated to re-homing dogs from high-kill shelters and dogs from owners who can no longer care for them. Our committed volunteers work with local veterinarians, trainers, groomers and boarding facilities to prepare our dogs to transition to their well matched forever homes. We also provide after adoption support, information and training services for our new owners. Our goal is to reduce the number of healthy, adoptable dogs, including pregnant dogs and those with puppies, whose time has run out at the shelter and place them in loving forever homes. We believe there are far too many wonderful dogs that end up in shelters through no fault of their own, and there are many wonderful people in our community that support our mission. Our office hours are Mon-Wed-Fri from noon to 3:00 pm. We hold weekly adoption events on Saturday from noon to 3:00 pm (closed on some holidays). 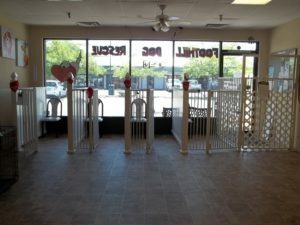 Our available dogs can be viewed here. All of our dogs are placed in foster homes and without our fosters we would not be able to rescue all of the dogs (over 1600 and counting) that we have re-homed. Please consider fostering for us as we can only pull as many dogs from the high-kill shelters as we have fosters available for. If you are interested in fostering please complete the agreement here. If you have additional questions please ask our volunteer office staff here. We’ll do our best to answer your questions or will direct you to someone who can.